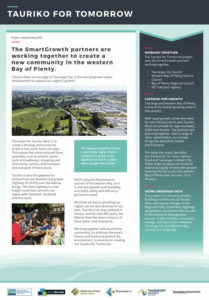 The SmartGrowth partners are working together to create a new community in the western Bay of Plenty. Tauriko West, on the edge of Tauranga City, is the next proposed urban development to support our region’s growth. 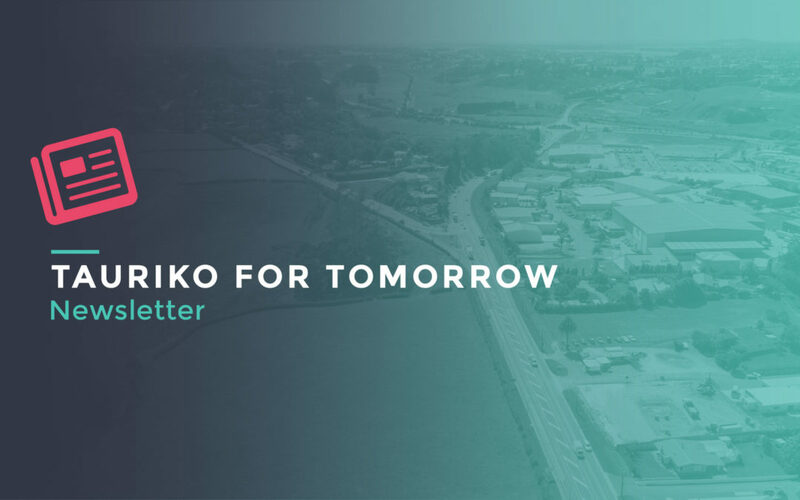 The vision for Tauriko West is to create a thriving community for locals to live, work, learn and play. This means the community will have amenities such as schools, parks, cycle and walkways, shopping and community centres, and transport and transport infrastructure. Tauriko is also the gateway for visitors from the Waikato using State Highway 29 (SH29) over the Kaimai Range. The state highway is a key freight route that connects our region with Hamilton, Auckland and the north. SH29 supports the economic success of the western Bay, so it is vital that growth and liveability, and traffic safety and efficiency go hand in hand. While we are future-proofing our region, we are also drawing on our past. Tauriko is an area steeped in history, and for over 800 years, the Wairoa River has been a source of food, water, and enterprise. Working together with iwi and the community, to embrace the area’s history and build and protect the environment, is essential in creating Tauriko for Tomorrow. Click image to view the latest newsletter.